Fantastic ONE LEVEL home near the hospital, shopping, and schools! The perfect starter home or investment property! This move-in ready home features 3 bedrooms and a completely updated living space. The living room is spacious, with large window for plenty of natural light and nice laminate floors running through the entire main living area! 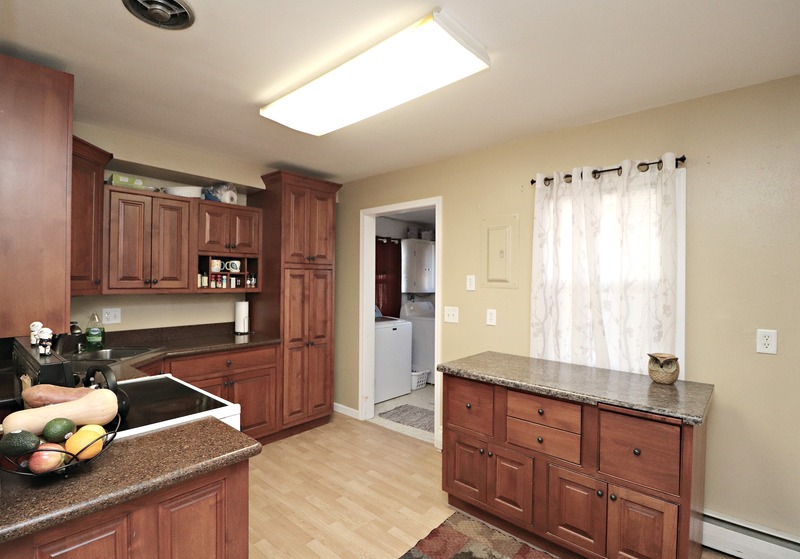 Kitchen with beautiful upgraded cabinets and counter tops- mobile island for additional counter/cupboard space! Separate dining room a rare find! Great laundry room has storage cabinets and leads outside to the fenced back yard, complete with deck (partially covered) and storage shed. All windows have been updated, new paint, new carpet in bedrooms, easy maintenance vinyl siding, 5-year-old roof, off street parking, mature trees and a convenient location!